Peacefully surrounded by her loving family in Toronto, on Monday October 15, 2018, in her 65th year. Beloved wife of Stephen. Loving mother of Margaret (Freeman), Juanita (Oliver) and Jenny (Tom). Cherished grandmother of Amber, the late Jesse, Braydon, Owen, Noah, Tommy and Taylor. Great-grandmother of Madison. Dear sister of Mildred, Debbie, Robert and Kevin. 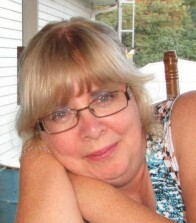 Ann Marie’s final act of kindness was to give the gift of life through organ and tissue donation. A celebration of Ann Marie’s life will be held on Friday, October 26, 2018 from 6 – 9 p.m. in the MacCoubrey Funeral Home Reception Centre, Cobourg. Donations to the Trillium Gift of Life would be appreciated by the family. Condolences received at www.MacCoubrey.com. Friday, October 26 from 6-9 p.m.